Good day everyone. Our weekly CSA farm share has been providing us with a bounty of produce. Most of the vegetables are tried and true favorites like basil and kale. However, some are unidentifiable that require some research before preparing for dinner. This happened when we received garlic scapes, the veggie in the left of this photo. According to my CSA, garlic scapes are flower stalks of hardneck garlic plants even though they do not produce flowers. The scapes appear about one month after the first leaves form. By cutting off the garlic scapes, more energy can be used by the plant to grow larger garlic bulbs. The scapes are edible and can be used in any recipe that calls for garlic. If your garlic scapes are tender, you can chop them and use them as is, and with mature scapes a light saute will make them ready for use. 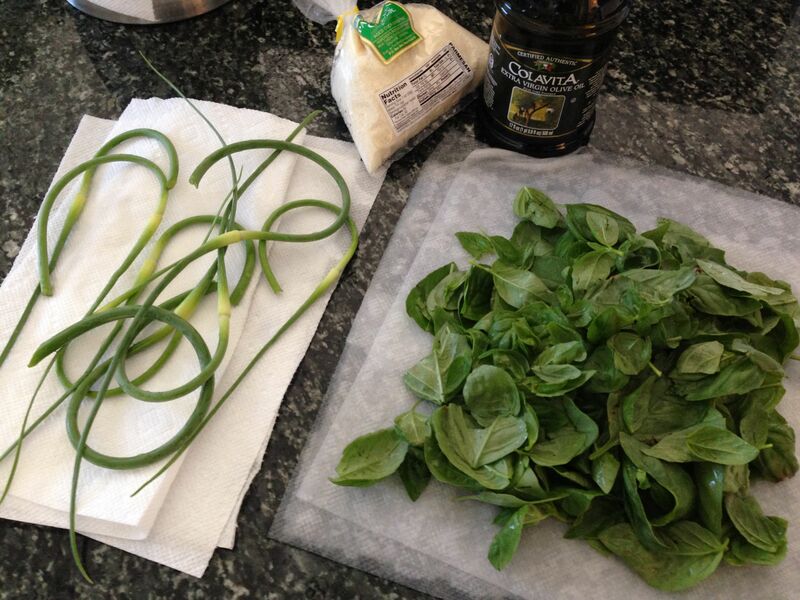 Garlic scapes are great mixed with basil to form pesto. The taste is very earthy and “green.” If you don’t have garlic scapes, garlic cloves will work just as well in this recipe. Place all ingredients in a food processor and puree until you have a desired consistency. You many want to add a bit more olive oil or reduce the amount of cheese to 1/4 cup for a thinner pesto. 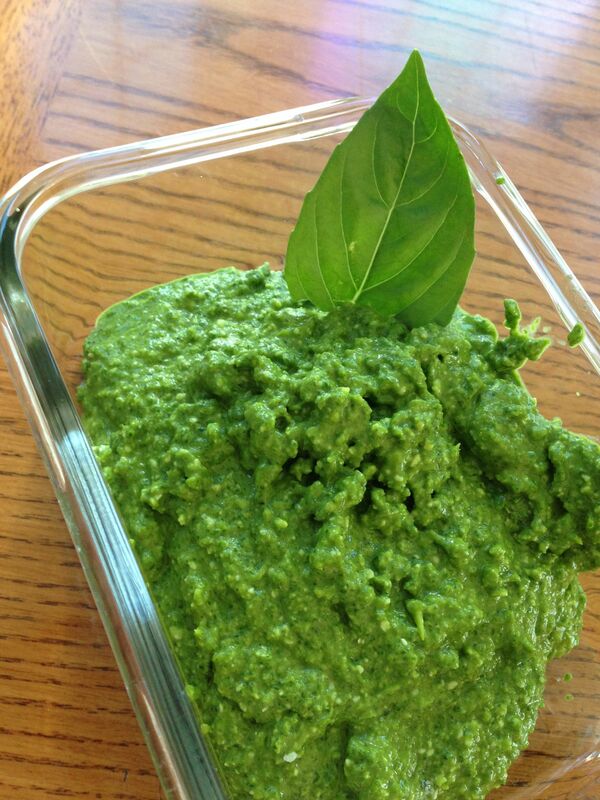 This entry was posted in Recipes - Condiments and tagged basil, Cane sugar free, Gluten free, nut free, pesto, Yeast free. Bookmark the permalink.